Do you have twisted cables running everywhere? 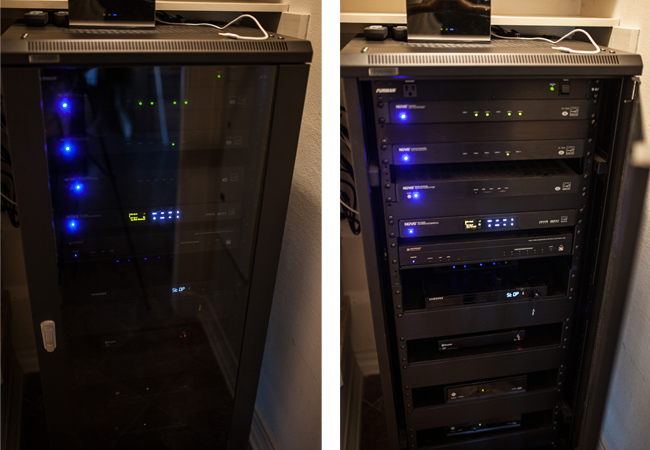 AV Guy can bring order and simplicity to your A/V closet. Do you need to add a new device? Add a new BluRay or Xbox with ease and even reprogram your remote. Are your A/V components outgrowing your current media storage location? AV Guy can optimize air flow in a tight space with a media rack or relocate your devices to a cabinet or closet using a simple RF solution.